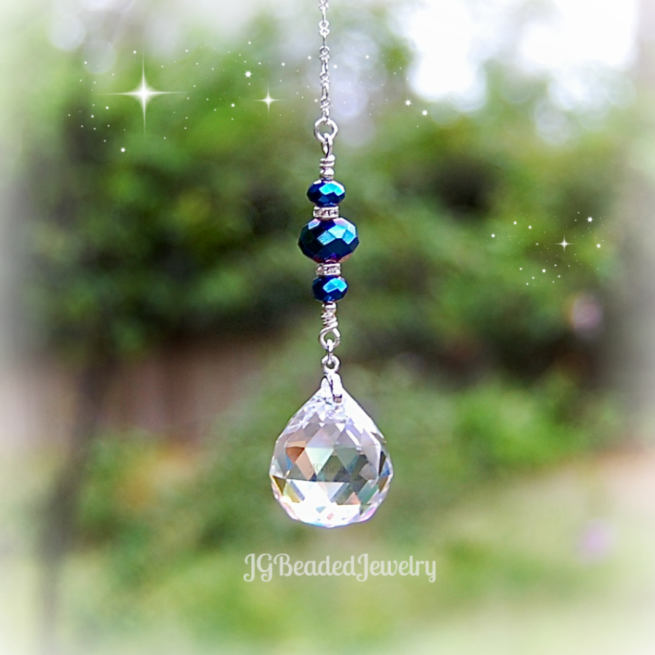 This iris blue hanging prism crystal decoration is designed with a 20mm prism crystal, faceted iris blue crystal beads and fancy silver metal beads that have tiny clear crystals within. The prism comes in your choice of a Clear or Clear AB. Clear AB has a partial aurora borealis finish which increases the rainbow effect when in direct sunlight. 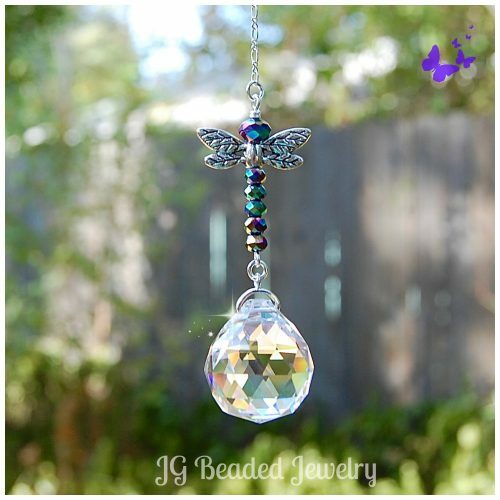 2) Home Decor – 6″ chain with ring for hanging from a hook in a sunny window at home, the office or wherever you choose!